Read brief History of Healthcare Insurance in United States, as the heath care insurance industry is undergoing evolutionary process driven by US government health care reforms and public healthcare interest issues. Insurance, broadly speaking, is designed to protect someone from loss and has been used in different forms since the second millennium BC. As medical knowledge became more advanced it also became more valuable. Medical practitioners soon moved from practicing medicine in their homes to a centralized medical practice. As time went on, physicians became more knowledgeable and specialized. In order to further their research resources were necessary and expenses started to accrue. Because of the expenses necessary for the medical advances the cost of medical services started to rise. Life insurance has a long history that reflects humankind’s awareness of its own mortality. History of health care insurance in the world dates back to the days of Hammurabi in Mesopotamia, where healthcare insurance began as a service performed in exchange for a fee under law. It was expected that successful health care, in particular surgery with the knife, was paid for appropriately. A person of high status paid the successful surgeon more, but the cost of a failed surgery carried higher costs for the surgeon. Compensation and liability, in other words, were determined by the patient. Ancient health care providers clearly had an extensive knowledge of local flora and, as the world gradually opened up; exotic flora becomes integrated into the ancient pharmacology. Medical knowledge in the ancient world was accumulated over centuries of experiment and experience. One of the oldest and most extensive examples comes from Mesopotamia called the “Treatise of Medical Diagnosis and Prognoses”. The law was documented on 40 tablets mentioning prescriptions and treatises, though many diseases were blamed on the supernatural based on rational observations of the body. For much of the history of human civilization, everything from birth to disease to surgery was handled by medical practitioners within one’s own house. But in other traditions, particularly those borrowing more directly from the Egyptians, such as the Islamic tradition, medical knowledge became the foundation for early examples of centralized medical practice. As the great Arabic Empire expanded around the lower Mediterranean, their accumulated medical knowledge began to be supported in great social and cultural centers. The Classical traditions were combined with existing Islamic knowledge and centuries of herbal medicine borrowed from Chinese, Persian, and Indian traditions in the “Canon of Medicine”, a rigorous text written by the Iranian physician “Abu Ali Sina” in the eleventh century. But contracts on health care, or health insurance, truly became an issue of vital and controversial importance in the early part of the twentieth century, when medical care became institutionalized and more advanced, and the cost of services began to rise. With medical costs on the rise and millions of Americans uninsured, health insurance is a topic of heated debate in the United States. But how did our health insurance system tangle itself up in the first place? Although to­day we are focused on looking ahead, we may very well find the answer from looking behind through the history of the U.S. medical insurance system. Under­standing the history of healthcare insurance in the United States, will let you know us how America got into the crisis, how premiums became dependent on risk, and how workplaces became the primary suppliers of health insurance. The American life insurance system was established in the mid-1700s. But the first of what could be called individual health insurance plans became available in the United States during the Civil War. The plans were accident insurance providing coverage for injury related to travel by railroad or steamboat. The late 1800s and early 1900s were full of medical advances, from the identification of in­fectious agents to the development of antitoxins, vaccines, and new medical technologies such as X-ray radiography and blood pressure meters. The abun­dance of innovation transformed the public image of medicine, and people began to place more trust in medical institutions. Massachusetts Health Insurance of Boston offered early group policies with a relatively comprehensive list of benefits as early as 1847. The earliest forms of health insurance, how­ever, did not emerge until 1850, when the Franklin Health Assurance Com­pany of Massachusetts began providing accident insurance, to cover injuries re­lated to railroad and steamboat travel. Individual accident insurance proved a successful venture, so these kinds of early plans began to evolve into more expansive programs that covered a broader range of illness and injury, including early versions of disability coverage by the end of the 19th century. In the early years of the 20th century, groups began developing relationships with health care providers to develop what would become the predecessors to modern health insurance plans, or fee-based contracts. 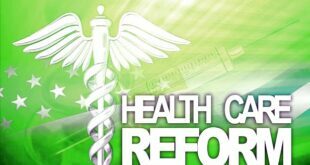 The quality of health care was fur­ther legitimized by the establishment of medical regulations. In 1904, the Amer­ican Medical Association created the Council on Medical Education, which developed standards for medical licensee. In 1913, the American College of Surgeons was founded to oversee the accreditation of medical schools. The new regulations ensured the quality of health care and resulted in a smaller but more talented supply of licensed physicians. In 1929 a few Dallas-based teachers came together with a local hospital and proposed to receive a set amount of sick and hospital days for a fixed, prepaid rate. Prepaid hospital visits became very popular especially during the Depression, proving to be beneficial for both sides during hard economic times. With the onset of the Great Depres­sion in the 1930s, many other hospitals followed the model of the Baylor Plan, and medical insurance became much more widespread. Pre-paid health plans enabled consumers to be insured but also benefited hospitals by giving them steady income despite economic turmoil. However, these single-hospital plans also generated price competition, and to avoid this, community hospitals started to work together in creating health coverage plans. In 1939, the American Hospital Association (AHA) first used the name Blue Cross to des­ignate health care plans that met their standards. These plans merged to form Blue Cross under the AHA in 1960. Considered nonprofit organizations, the Blue Cross plans were exempted from paying taxes, enabling them to maintain low premiums. Pre-paid plans covering physician and surgeon services, includ­ing the California Physicians’ Service in 1939, also emerged around this time. The 1940s and 1950s also saw the proliferation of employee benefit plans, and the included health insurance pack­ages became more and more compre­hensive as strong unions negotiated for additional benefits. During the Second World War, companies competing for labor had limited ability to use wages to attract employees due to wartime wage controls, so they began to compete through health insurance packages. The companies’ healthcare expenses were exempted from income tax, and the resulting trend is largely responsible for the workplace’s present role as the main supplier of health insurance. The existence of successful health insurance plans prevented government intervention until the mid-1950s. In 1954, Social Security coverage included disability benefits for the first time, and the market started to grow and in 1965 when Congress passed the Medicare and Medicaid Services Act. In 1971 physician-sponsored plans, Blue Shield and Blue Cross merged into one company, as more expen­sive medical technology and flaws in the health care system led to higher costs for health insurance companies. In 1980s, responding to higher costs and other challenges to health insurance industry, employee benefit plans changed into managed care plans, and Health Maintenance Organizations (HMOs) emerged. 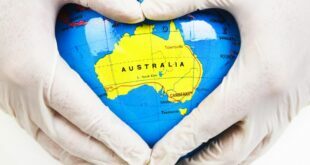 Man­aged care plans are unique in that they involve a particular network of health­care providers that have been verified for healthcare quality and that have agreements with the insurer about price and related issues. HMOs were originally primarily nonprofit, but they were quickly replaced by commercial interests, and managed care only suc­ceeded in temporarily slowing the growth of healthcare costs. In 1993, Presi­dent Bill Clinton proposed a universal healthcare system in 1993 to address the problems in the United States health care system. 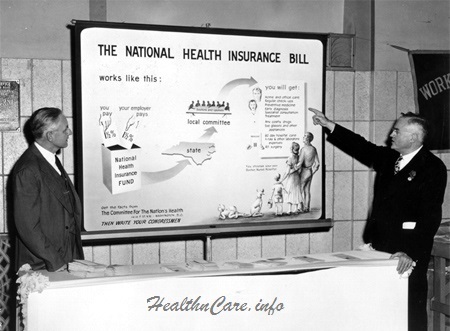 Although the bill was re­jected by Congress, it still contributed towards Evolution of Modern American Health Insurance. In 1996, Mental Health Parity Act and the Health Insur­ance Portability and Accountability Act (HIPAA) was passed as a developments in healthcare insurance system including helping employees maintain insurance between jobs, if they became self-employed, or were otherwise separated from the employer-packaged managed health care plan. In 1997, Children’s Health Insurance Program (CHIP) came out to help providing insurance to low-income children, and new measures to provide greater quality and comprehensiveness in consumer-directed health care have emerged. Since 2000, the share of Americans with health insurance has been steadily on decline. As of 2010 just fewer than 84% of Americans had some form of health insurance, which meant that more than 49 million people went without coverage for at least part of the year. Declining rates of coverage and underinsurance are largely attributable to rising insurance costs and high unemployment. According to the U.S. Census Bu­reau, 45.7 million Americans, or 15.3% of the population, were uninsured in 2007. Clearly, the health insurance sys­tem needs major reform. In 2010 Affordable Care Act also called Obamacare after President Barak Obama, who has signed it, was designed to introduce due healthcare reforms and extend health care insurance coverage to the Americans without it. As the pool of people with private health insurance has shrunk, Americans are increasingly reliant on public insurance. Public programs now cover 31% of the population and are responsible for 44% of health care spending. Public insurance programs tend to cover more vulnerable people with greater health care needs. With all of the medical technology coming out every day it is difficult for health care to keep up in order to adequately protect all of the consumers and their needs. With the ever changing world of health care and medical technology it is important to have a resource to reach out to in order to help you, your family, or your small business find the coverage that is affordable and adequate for the needs of yourself and those important to you. I really enjoyed this piece of the history. Let’s see where it goes from Affordable Care Act.